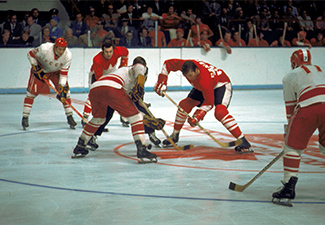 Canada's "Team of the Century"
In 1972, an eight-game hockey series took place between Canada and the Soviet Union. Intended to improve relations between the two rivals, this Cold War on Ice often erupted into hot blooded emotion, to a level never before and never again experienced in international competition. Canada's "Team of the Century". The first team inducted into Canada’s Sports Hall of Fame. The first squad ever named "Team Canada". Team Canada 1972 is proud to include a growing number of partners, from the educational, charitable and corporate communities. Each partner assists the team by offering an opportunity to further the goals of the 28,800 Project. 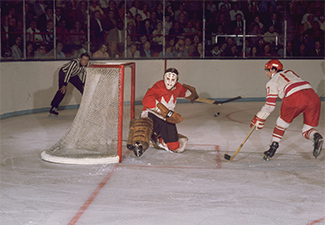 Team Canada 1972 launched “28,800 Seconds: The Power of Teamwork” to inspire every Canadian with the lessons learned from the Summit Series, particularly those highlighting what can be achieved through teamwork. 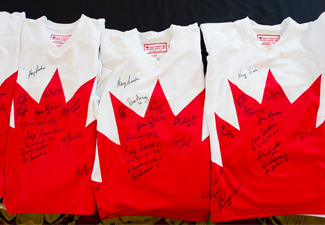 Do you want to win Team Canada 1972 merch? 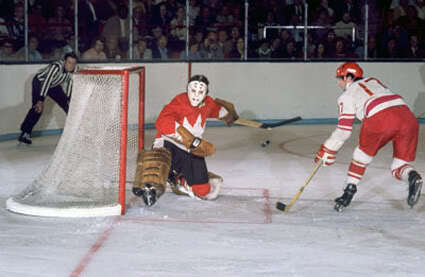 Thank you for visiting the Team Canada 1972 website. We're always looking to improve our user experience to bring you the most relevant content! By completing this short survey, you'll help us out, and be entered to win Team Canada 1972 merchandise!